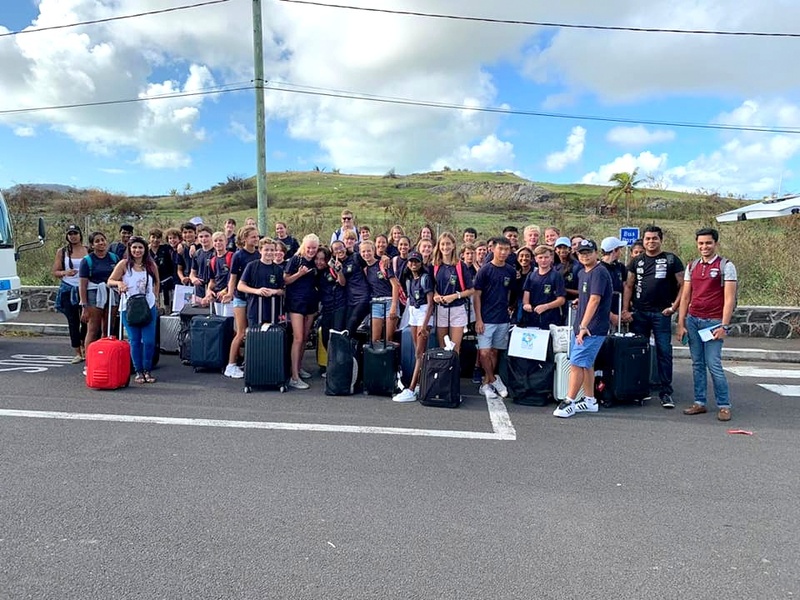 n exciting trip was organized for Year 9 students to go to Rodrigues with the intention of creating a bonding session with this age group before they embarked on their IGCSE programme the following year. The purpose of the programme was aimed at fostering team spirit, leadership and to a certain degree, resilience. This had been achieved by creating a safe experiential learning atmosphere where participants were challenged in a fun and highly involving way. The idea was to include some Creativity, Activity and Service. 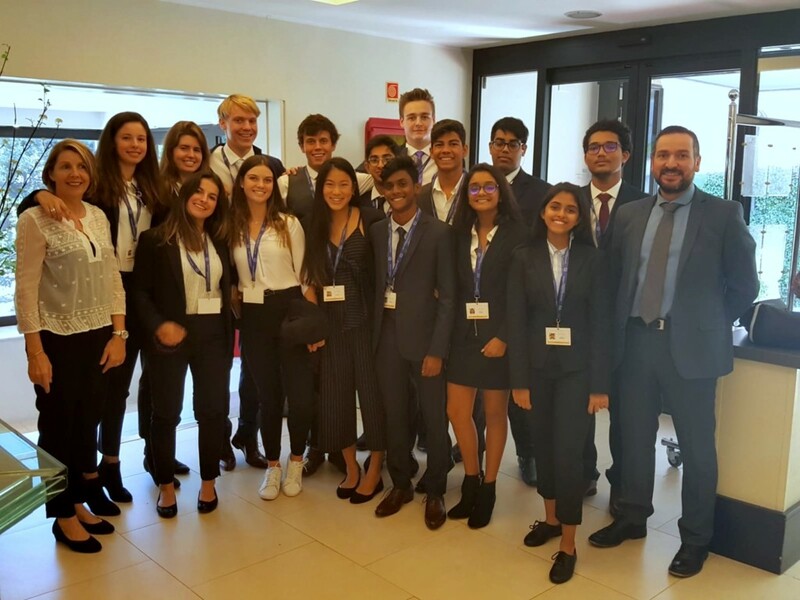 In March, 15 Year 12 students accompanied by Mrs Swaney and Mr Mohammed attended the Rome International Model United Nations at the Liceo Farnesina Scientifico in Rome, Italy. Preparation for the trip started way back in September with many students getting to grips with the concept of Model United Nations. On the 16th of March 2019, Year 12 Northfields students held a ‘Masquerade and Under the Stars’-themed prom for Sixth Form at Aventure du Sucre. 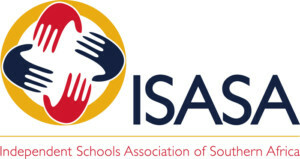 The preparation for the event commenced in December – committees were established, decorations were discussed and ideas circled the Year 12 prom committee. The money needed to finance the event was made through fundraising – a Valentine’s day committee was elected to take orders and deliver roses on the 14th of February, and the profit generated went to decorating the venue as well as paying for a DJ and accommodating a photographer and teachers. Congratulations to all our Duke of Edinburgh Silver and Bronze Award winners who received their certificates in a ceremony at school on Tuesday 26th March evening. This was the culmination of many months of commitment and sacrifice and we are extremely proud of all our students. Hopefully many of them will go on to the silver and goal awards in the near future. 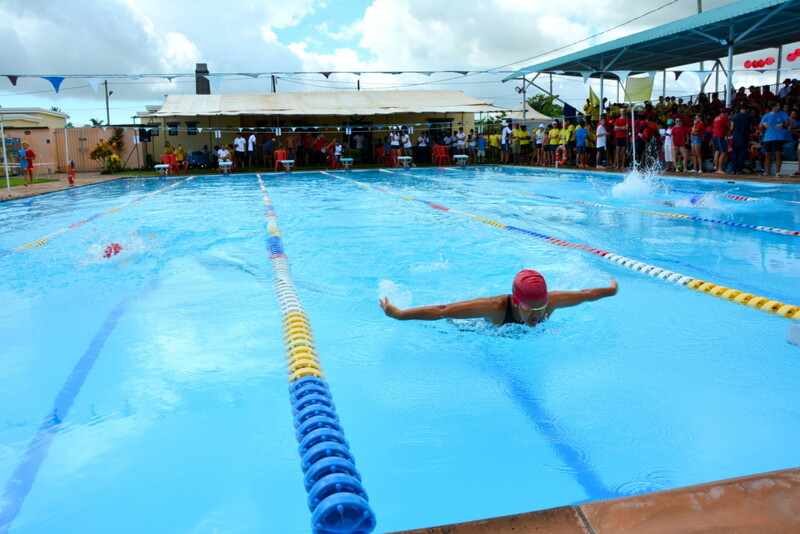 Congratulations to all the swimmers, supporters, officials, ground staff and parents who all contributed towards making the day such a successful one. 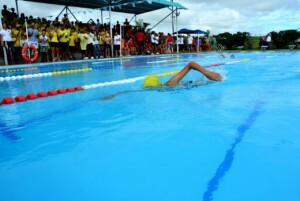 The Interhouse Swimming Gala opened with the house parades and war cries. The spirit displayed by the houses was incredible throughout the day and everyone did their houses proud. The standard of swimming was outstanding and it was great to see how hard the students had been working leading up to the gala. 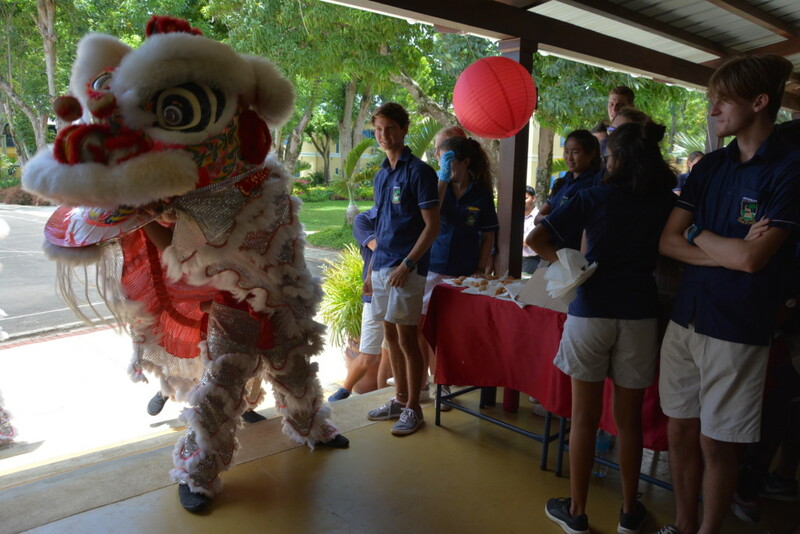 On the 4th February, students and staff of Northfields gathered to usher in the Year of the Pig. To celebrate, our students put together a real treat for everyone. Our two very poised MC’s Julie of Year 8 and Noah of Year 12 shared with us lots of fun facts on Chinese New Year celebrations. An array of performances was also lined up by our talented students. The Years 5 & 6 did a beautiful umbrella dance followed by the Year 7’s who performed a fusion fan dance. The Christmas Carols held on the evening of Thursday 6th December, was a truly stunning occasion. 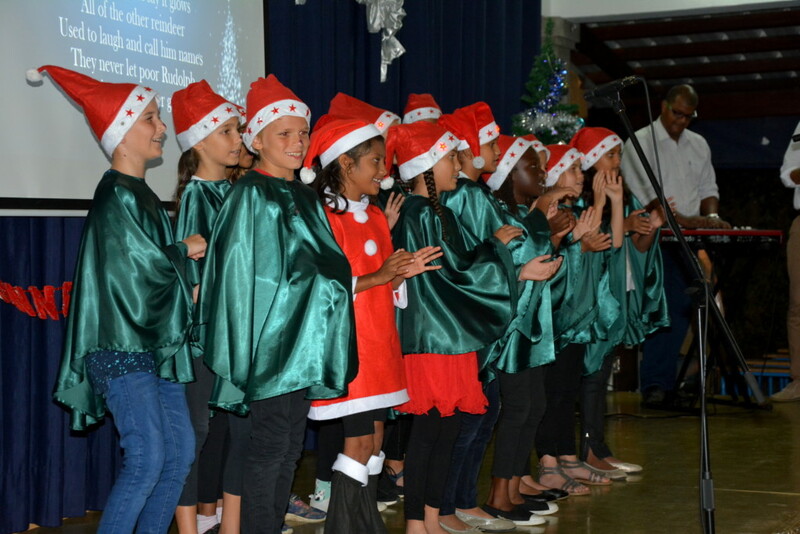 Our students and their families gathered in the hall and were treated to our school choir wowing us with their performance which were sang with gusto. 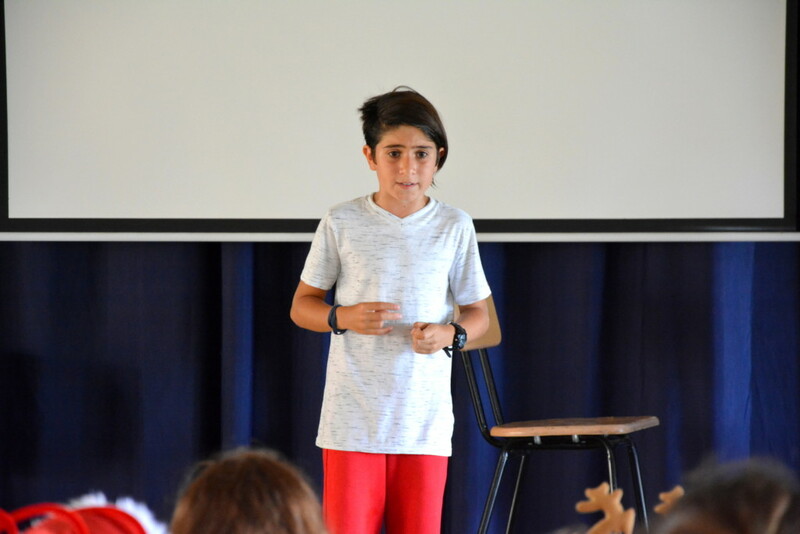 This term Years 7-10 took part in the annual Northfields interhouse public speaking competition. There were impressive, passionate and inspirational speeches. 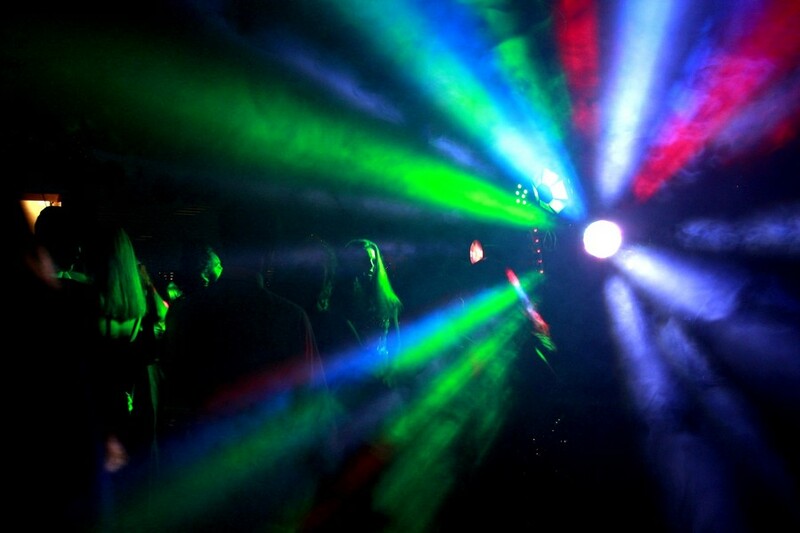 Topics ranged from deforestation to dance, cookery mishaps to Nelson Mandela. Of note was a very emotional speech on eating disorders and one on the dangers of drug abuse. Each student showed the range of the skills they had honed during English lessons and answered follow up questions thoughtfully. ‘StarZ of Northfields’- Our very first talent show, organised by the Northfields Interact Club took place on the 30th November. A wonderful array of talented and gifted youngsters in our community was showcased. After 2 hours and a half of entertainment, the top three performers were announced. They each received a token from our sponsor club, Rotary Club of Grand-Baie, as well as gift vouchers from Rocomamas and Pandora. The trophies were then handed out for first, second and third place. 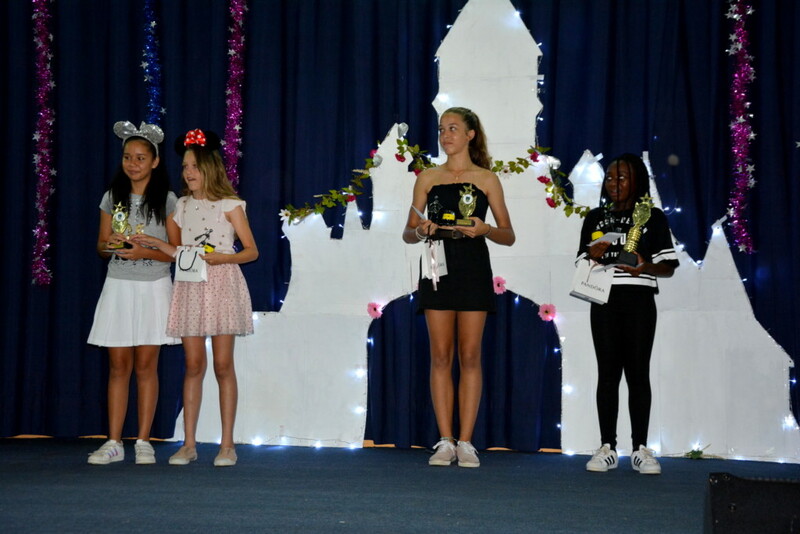 The first interhouse DanceSport School League competition was held on Wednesday, 21st November. It was an energetic and exciting affair as students from Years 7 – 13 danced for their respective houses. 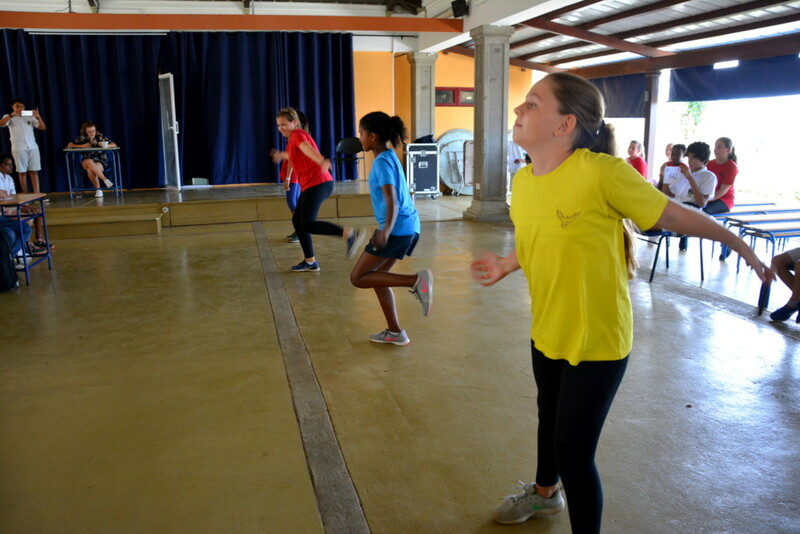 The competition was judged by Mrs Maneli who is the coordinator of DSSL at Northfields, Craig Bullock who is an internationally recognized dance choreographer and judge and Mandy Bullock who is a 2011 gold medalist dancer as well as an internationally recognized dance coach. The tournament began on Wednesday 21st November with the Year 11s and came to a conclusion with the year 7’s on Thursday the 29th of November. The tournament took 6 days to complete with a rain day cancellation on Tuesday the 27th delaying the final two rounds of fixtures by a day. 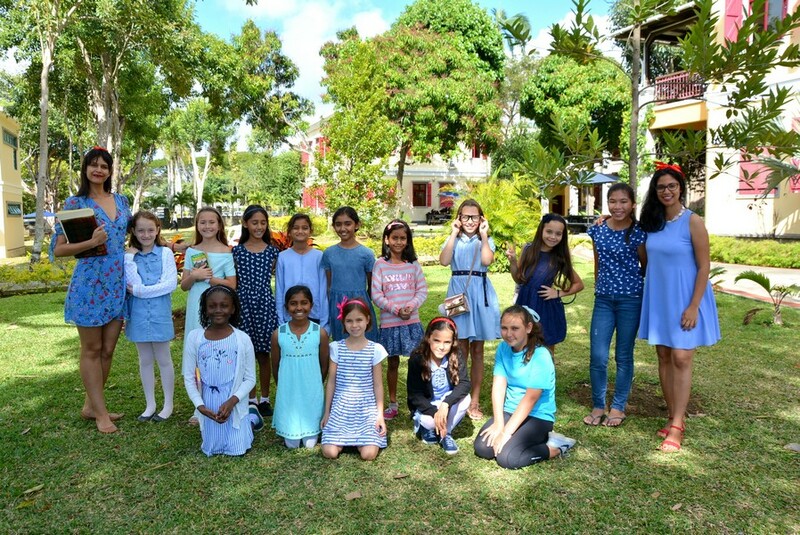 Four girls and four boys from each house for every year group volunteered to participate in the weeks building up to the tournament. 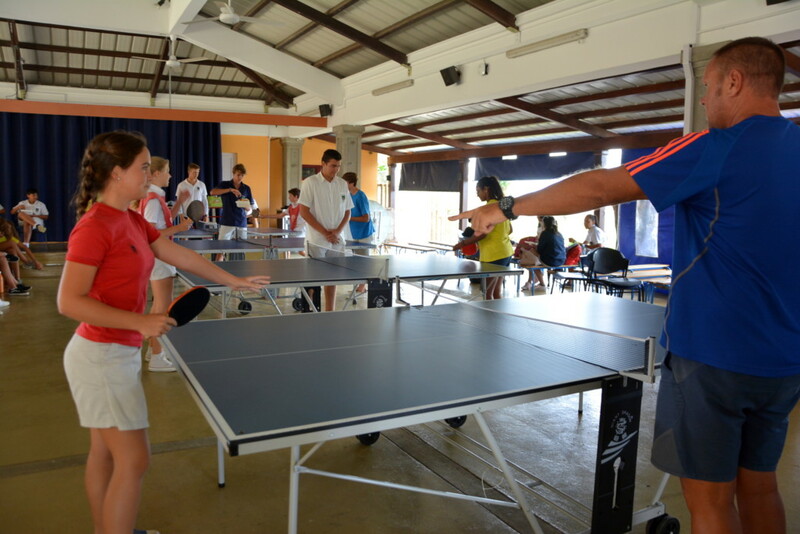 Therefore there were 12 participants in each round of fixtures for both the girls and boys. The draw worked randomly, ensuring that the first fixture each student played would be against an individual from a different house. 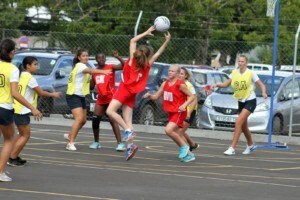 Interhouse Girls Football and Boys Basketball took place on Thursday 8th November. 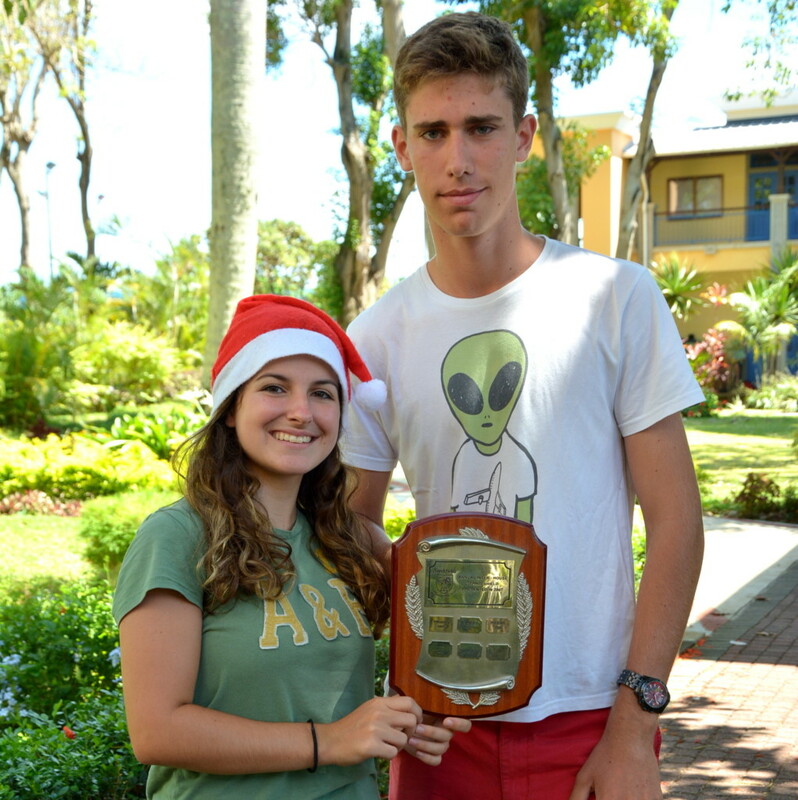 Student participation was at an all-time high as each house gave everything on the football fields and basketball courts to try and claim the trophies on offer. The matches were highly competitive but played in an excellent spirit. The support from the side-lines was appreciated by all the players doing their absolute best on the fields and courts. 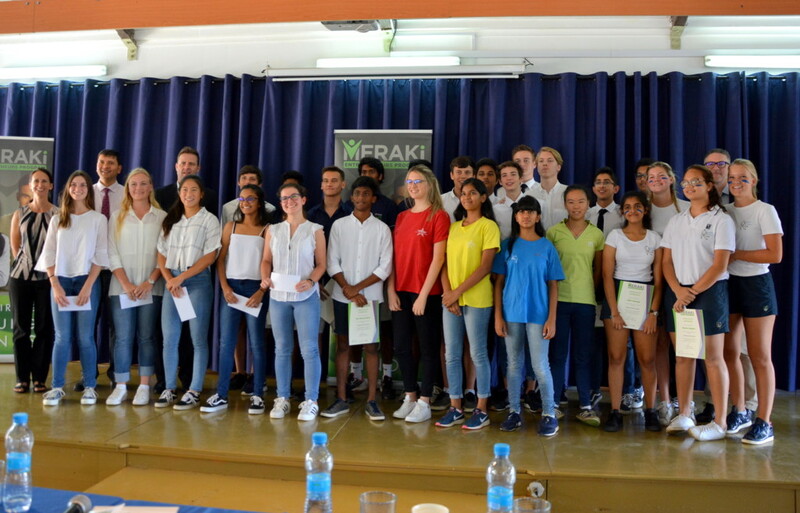 Throughout the course of the last 9 weeks, I was fortunate enough to have participated in the Meraki Entrepreneurs Program, one that I have truly benefited from. This programme has allowed me to experience first hand the general process of how a business is initially planned, developed and completed; as well as how much work and detail goes into every stage of an organisation. I have learnt to be innovative and have gained more insight into the different types of roles and responsibilities that one has to perform as an entrepreneur, something that I believe is valuable to any person regardless of whether they study Business or not. Interhouse tennis took place this term and consisted of junior and senior boys and girls doubles. There were some very competitive matches played, but there was still good sportsmanship and team spirit among the players which was great to see. At the end of the competition once all the points were added up, there was only one team that came out on top. Starting with third place we have Dolphins, second place Eagles and the winning team is Phoenix! On Tuesday 6th of November, Northfields celebrated the Hindu festival of Diwali. 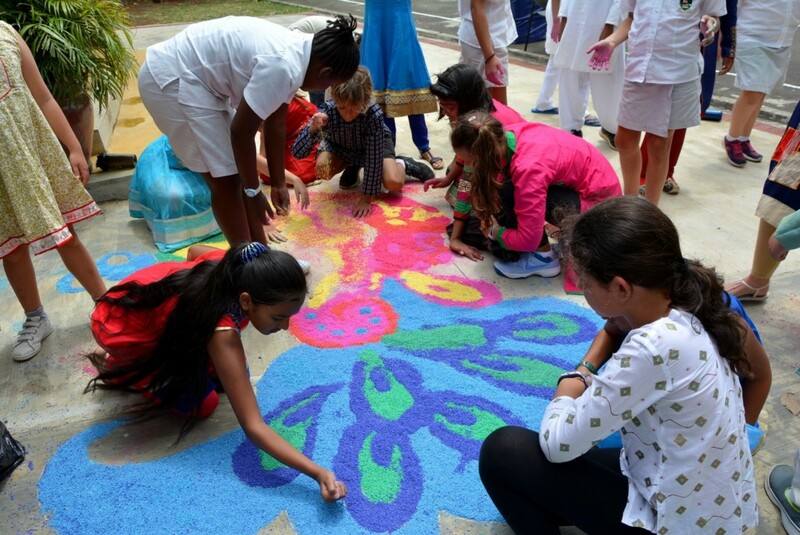 The Year 5 painted on diyas that beautifully decorated the entrance of the hall and an amazing rangoli Peacock welcomed the students to the ceremony. 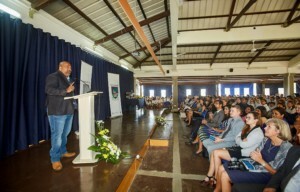 On Friday 12th of October Northfields celebrated its Founders’ Day, traditionally a very important day in the school calendar when members of the Northfields community – students, board members, staff and parents – meet to celebrate the outstanding achievements of our students for excellence in different facets of the school. It is also a day where we commemorate those who founded the school and who have participated in its growth and development. 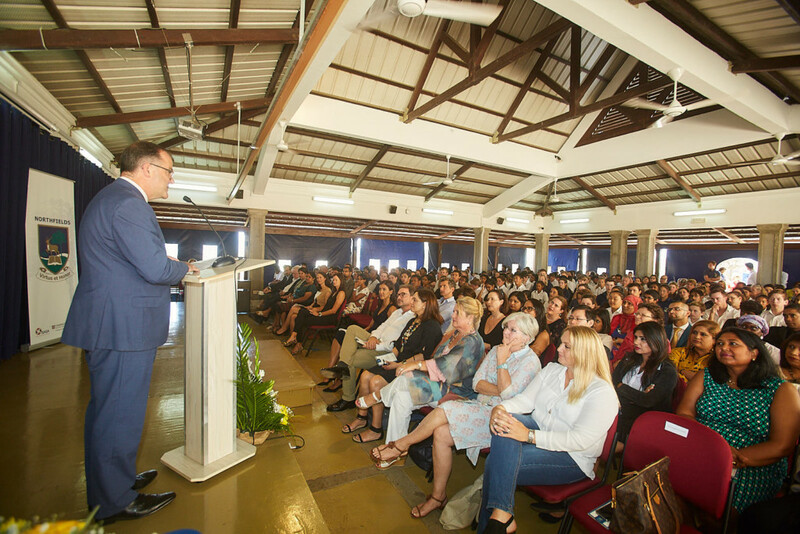 The ceremony began with a welcome address from our Principal, Mrs Phyllis Philogene, followed by the keynote address by our Guest of Honour, Mr Keith Allan, British High Commissioner to Mauritius. 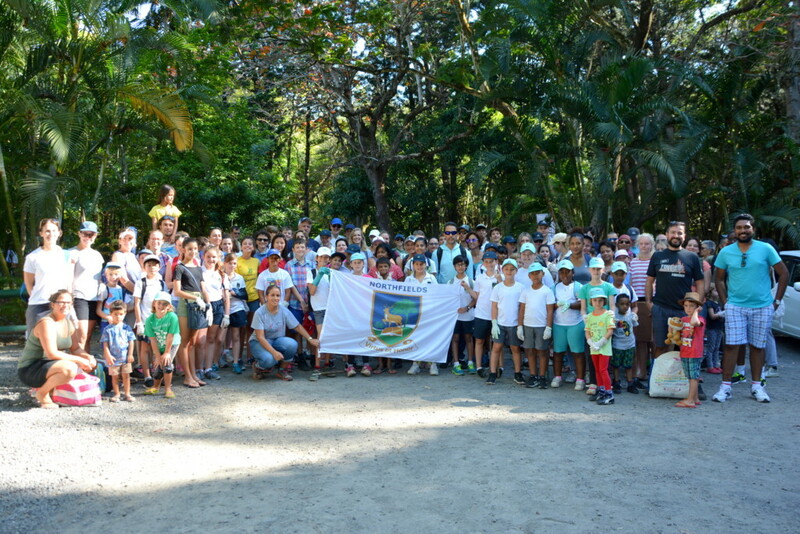 Northfields organised an Action and Impact Day on Saturday 22nd September, at Bras D’eau National Park. 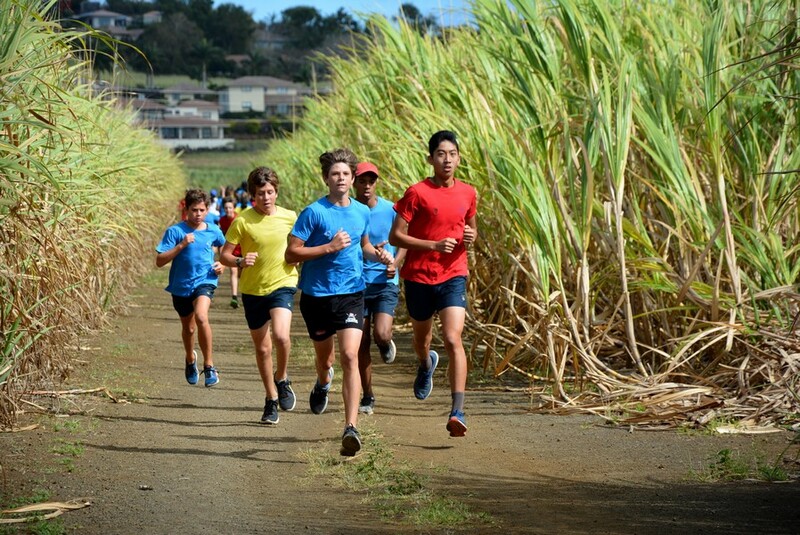 The event was an action-filled half day whereby members of the school community came together to actively participate in the protection of our local environment. The community showed real motivation and determination on a Saturday morning. 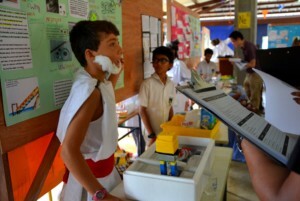 Children were enthusiastic about the event and were the main driving force in the success of this endeavour. 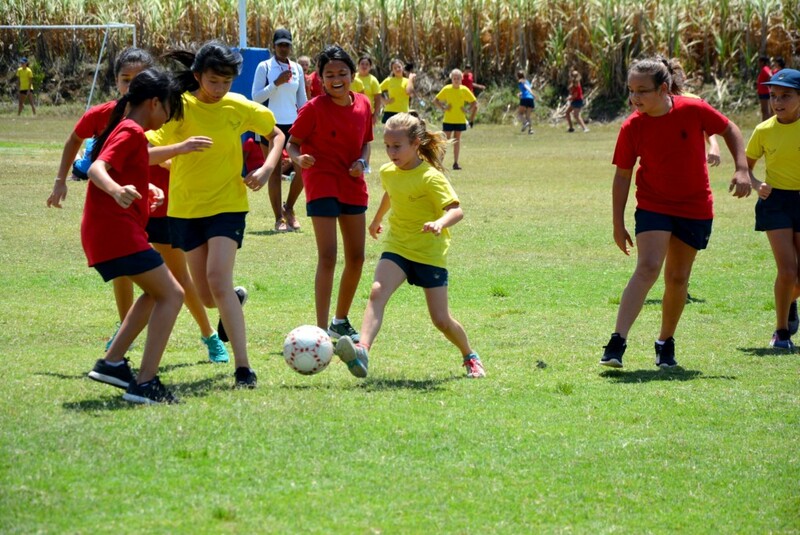 Interhouse Netball and Football took place in the last week of September with the Year 5/6 students participating on Thursday and the rest of the school on Friday. 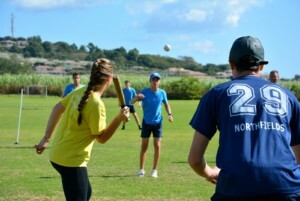 The format was slightly different this year with the emphasis on participation as well as a social element with students and families invited to stay behind for a barbecue once the matches and prize giving had been completed. Roald Dahl was well-supported and attended by the excited Years 5 and 6 learners in their creative costumes. Teachers ensured that the activities were based on ideas inspired by Roald Dahl’s literature, for example, Mr Gooljar experimented with chocolate in Science, the librarian displayed Roald Dahl literature and the PE teachers asked learners to be aware of their surroundings as they ran cross-country as apparently Roald Dahl spent much time in nature using it as a source of inspiration. On Saturday 23rd June, Northfields hosted an U13 football and netball festival involving 12 football and 8 netball teams. 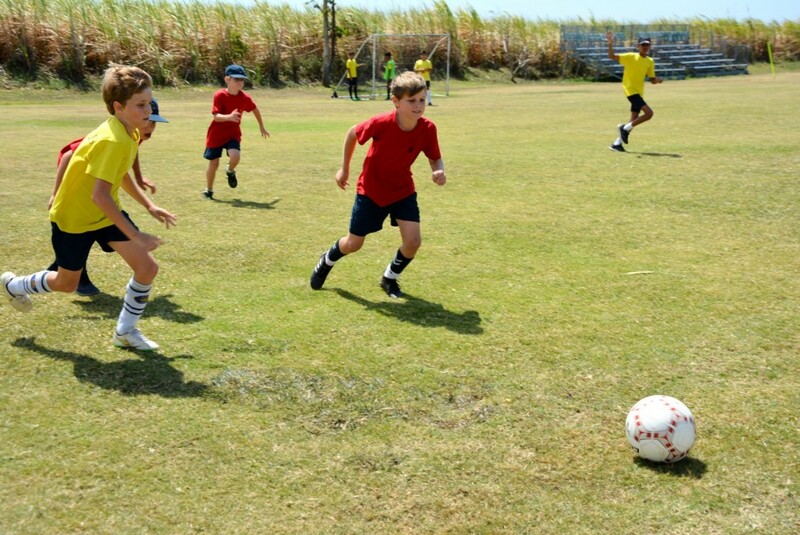 The teams consisted of players from Le Bocage, Lighthouse, West Coast, Redhill (South Africa), Northfields and Standard Chartered Football Academy. All the teams were involved in round robin pool matches with the top 2 teams in each pool progressing to the semi-final. The Northfields cheerleaders did a fantastic job of encouraging our players throughout the day, pushing them to perform at their best. On Friday, 22nd June, we celebrated the accomplishments of our 11th graduating class at Northfields International High School. 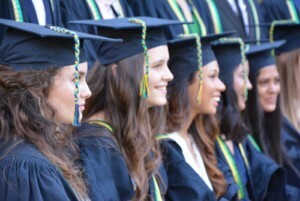 Many of our graduates had been with us for seven years, while others had joined us much more recently, but together they have grown to be a close-knit, happy group who we are sure will carry with them many fond memories of their time at Northfields. 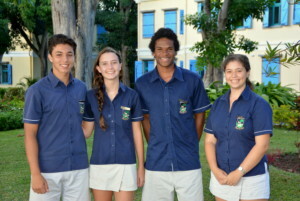 Deputy Head Boy: Domenico S.
Deputy Head Girl: Sophia R.
Congratulations to our new student leaders and their families! The entire Northfields community supports them as they take on this important commitment to the school throughout the coming year. We are very proud to announce that Hannah B. won the first prize of the “International Museum Day 2018 – Painting Competition” – A painting competition for Year 12 and 13 of State and Private Secondary Schools. 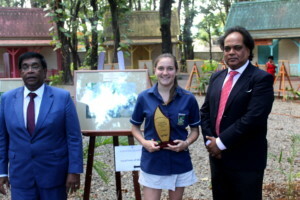 She received a cash prize, an award and a certificate. Her painting is presently displayed at the National History Museum of Mahebourg. We are also happy to announce that Kim L. and Ameydi C. were proud finalists in representing our school in the Sovereign Art Competition 2018. STEM Fair was a wonderful initiative whereby students had to use the Scientific and Engineering method in order to solve a problem. It was a half-term project where students had to work in groups in order to develop and research their questions.This interschool competition allowed collaboration among teachers and students from Northfields,Telfair School and Alexandra House. Our parents Committee were a great support. We were blessed with gorgeous weather for our inter-house athletics championships on Friday 27th May. The day kicked off with the house parade and war cries. This seemed to set the tone for the rest of the day as the spirit on the stands and trackside was amazing. The standard of athletics throughout the day was incredible and we are all so proud of all the athletes and supporters for their enthusiasm and spirit. video art, installation and digital art. 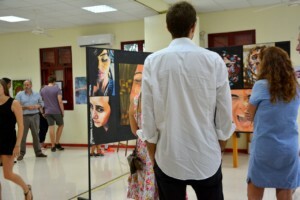 The vernissage happened on the 27th of March and scheduled visits were held for the students of Northfields the following days. 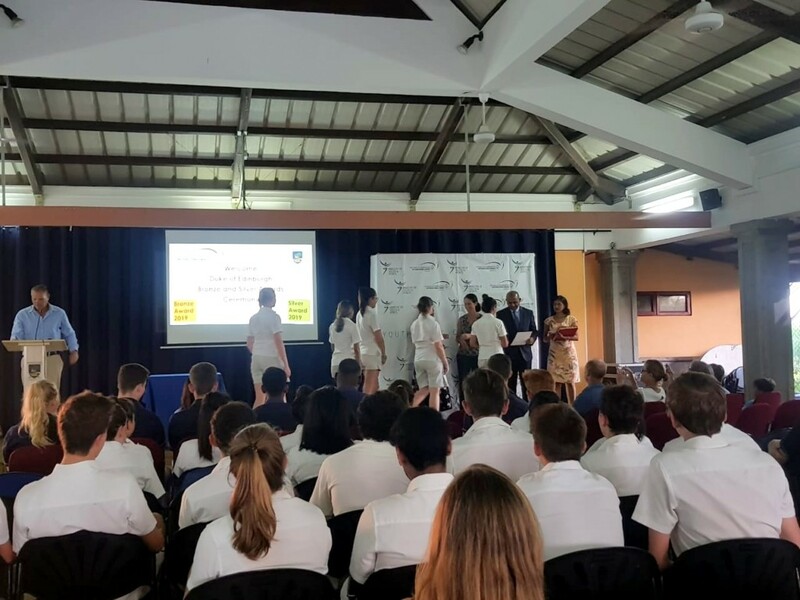 To mark the 50 years of Independence and the country’s Golden Jubilee, Northfields carried out a series of activities on the theme ‘One People, One Nation’ which kicked off on 5th March 2018 and ended on 9th March 2018 with a formal assembly and prize giving. 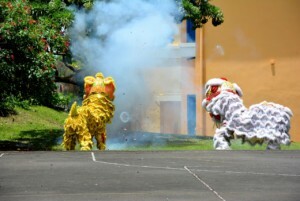 The activities for the celebrations consisted of: launching of an art, poetry and short story competition, food festival showcasing traditional Mauritian food and evolution of the Mauritian cuisine, local movie screening. 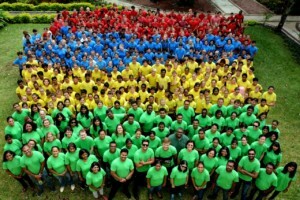 We also had a creation of a human Mauritius flag. Chinese New Year 2018 is under the Dog sign which is said to be very prosperous and successful in terms of Education. The Northfield community gathered on Tuesday the 20th to celebrate and therefore, they have put together a real treat for everyone. Thanks to Mrs Canakiah-Shiboo who organized the show.The ceremony started with our 2 very poised MC, Julie of year 7 and Adam Sall in Year 12. Then the event followed with our lovely year 6 girls Annabelle, Celine, Isabella, Mila and Taylor with a ribbon dance. Following that, our special warriors namely Alex, Jacques, Rehan and Senthil from Year 6 gave us a nice kung fu demonstration. Friday 9th February dawned a beautiful day. The rain which had been with us for most of the week had disappeared and the morning silence was soon broken by a cacophony of cheers, war cries and chants. After the 3 house had paraded around the swimming pool we got down to the serious business of swimming. The standard of swimming throughout the day was outstanding. The spirit on the stands was incredible as each house went tooth and nail to win the Spirit Trophy. The Houses were neck and neck throughout the gala and by the time the relays came around, only one point separated 1st and 2nd place.